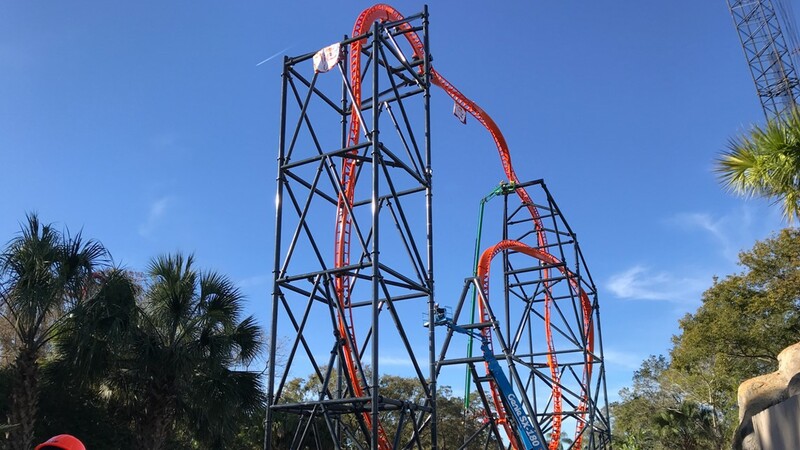 The ride will be Florida's largest launch coaster and is set to open in Spring 2019. 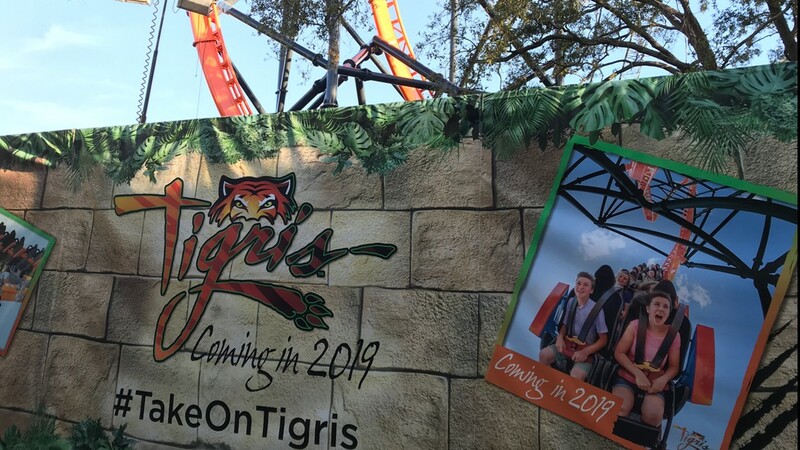 TAMPA, Fla. — When Tigris launches this spring, it'll be Florida's tallest launch coaster. 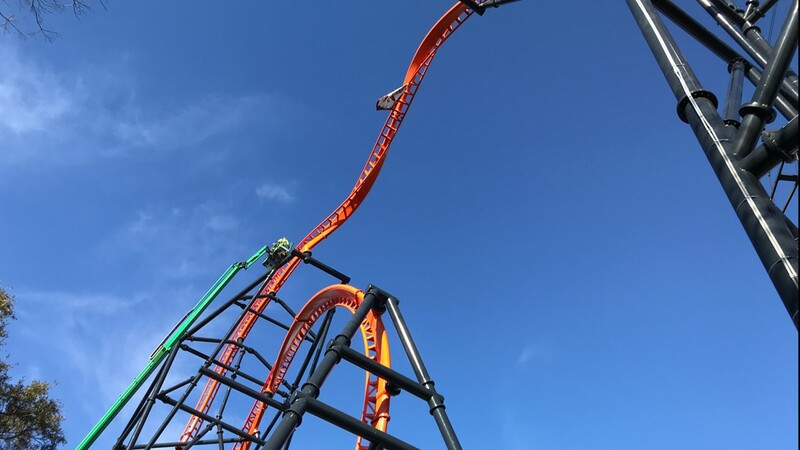 The bright orange coaster is 150 feet tall and will launch riders about 60 feet up at about 60 miles per hour. 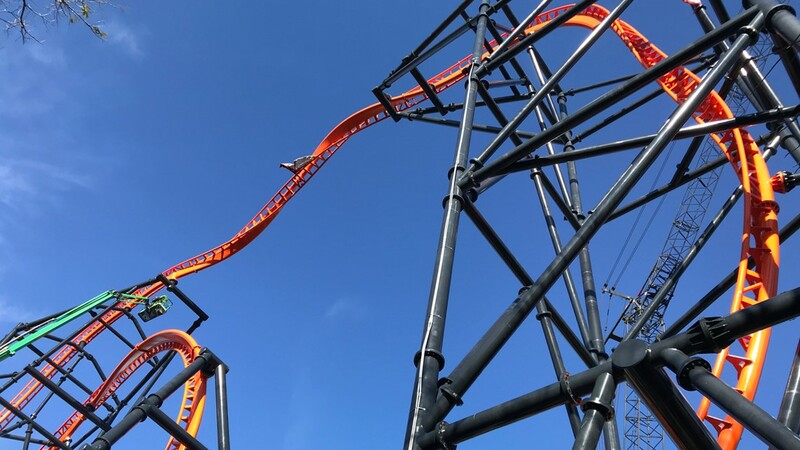 Tigris' 1,800 feet of steel track is designed to mimic the agility of an actual tiger. "This one's special," Stewart Clark, president of Busch Gardens Tampa Bay and Adventure Island, said during a tour of the construction site. "It'll launch you forward and backward, take you up about 60 feet or so...free fall backward. Then you'll go up about 80 or 90 feet, then free fall forward." 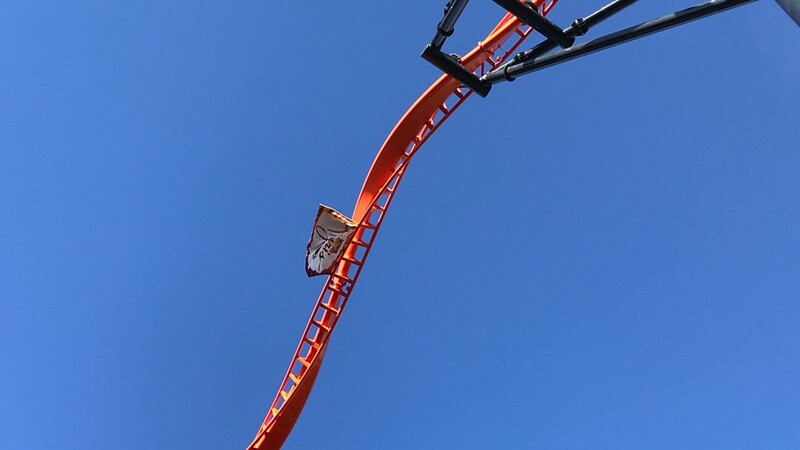 Andrew Schaffer, the project manager for Tigris, said the coaster's most unique element is the reverse launch, which lets riders experience a backward launch before free falling again. 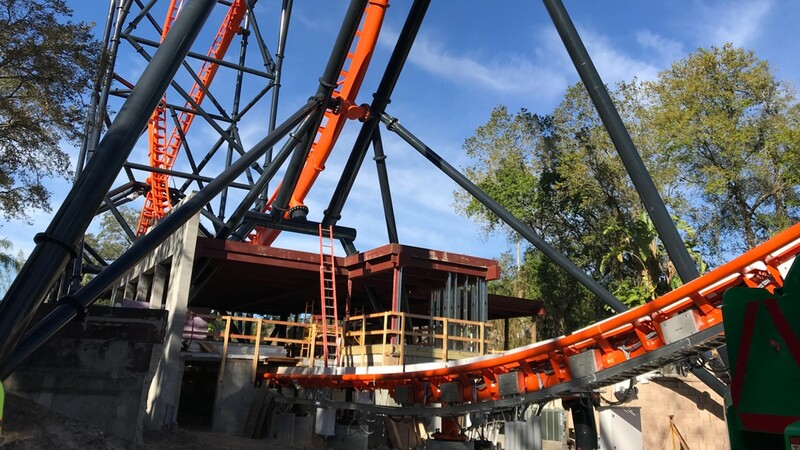 Clark said the coaster will not only mimic the speed and movement of a tiger but also showcase messages about the importance of tigers in the world. "Animals are a big part of our brand and our messaging," Clark said. "We want you to leave having a great experience but also with a little bit of a message of how you can help tigers." 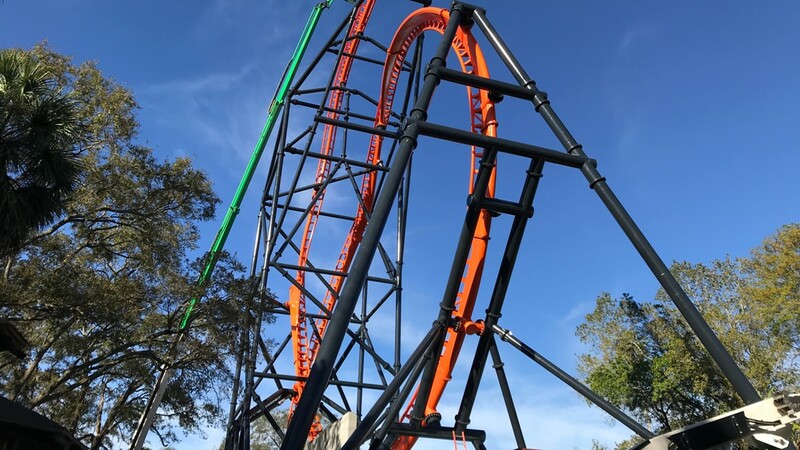 Tigris is a Sky Rocket II coaster, similar to the Tempesto in Busch Gardens Williamsburg and the Electric Eel at SeaWorld San Diego. When it's complete, it'll join the list of either other Sky Rocket II rides around the world. The ride is still in the process of being built in the area formerly home to the Tanganyika Tide Wave ride, which closed in 2016. The coaster will be situated near SheiKra and the Stanley Falls Flume. 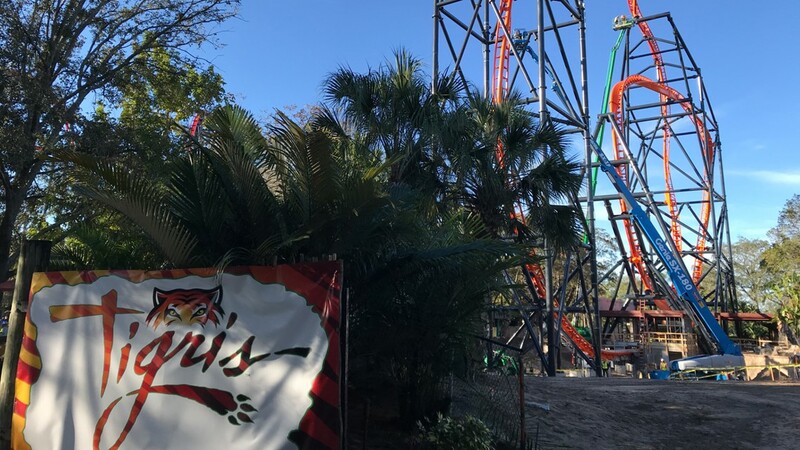 Tigris will be the eighth thrill ride at Busch Gardens, strengthening the park's nickname of Florida's roller coaster king.